Just like in the movies, Metal music carries messages that sometimes deliberately affects a believer’s belief or an atheist’s lack of belief. There has been alot of disputes about Metal music affecting people’s religion, and alot of Metalheads argue that it’s untrue and that it’s just some negative propaganda lead by the POP music industry. The fact is that there can be a negative effect in some Metal music, but certainly not all. 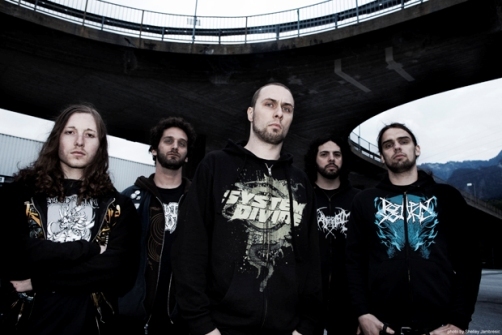 Aborted is a Metal band from Belgium, they fall in the Gore Death Metal genre and lately released a video in which they insult the Christian religion. Aborted may have a lot of fans most of whom might be Christians and they seem to tolerate the offence. That again is another big issue when Christians are accused to be too numb to stand against what offends them and Muslims are accused to be too sensitive to the issu , taking sometimes drastic measures, like banning ALL Metal. Check the lyrics here (the video carries the essential message). Here’s how Christian Metal replies to that in their music and lyrics.